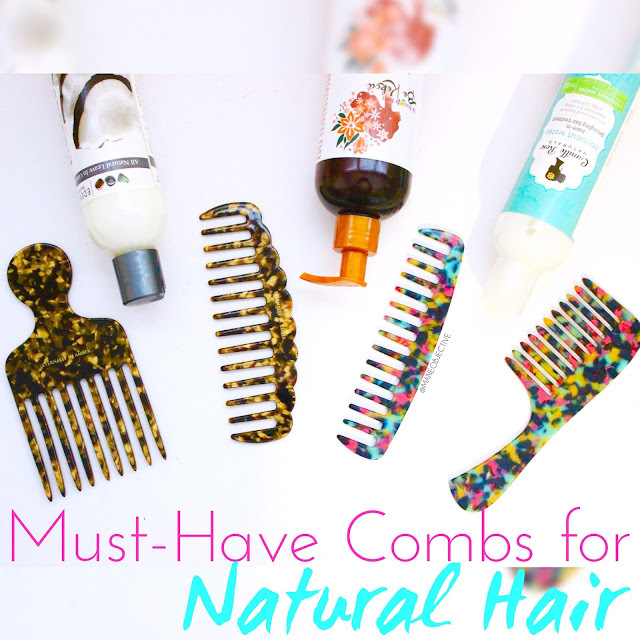 Let's be honest: detangling natural hair of all textures is a chore. Of all the processes we undergo in caring for our hair, detangling has the greatest potential to derail our healthy hair and length retention goals. 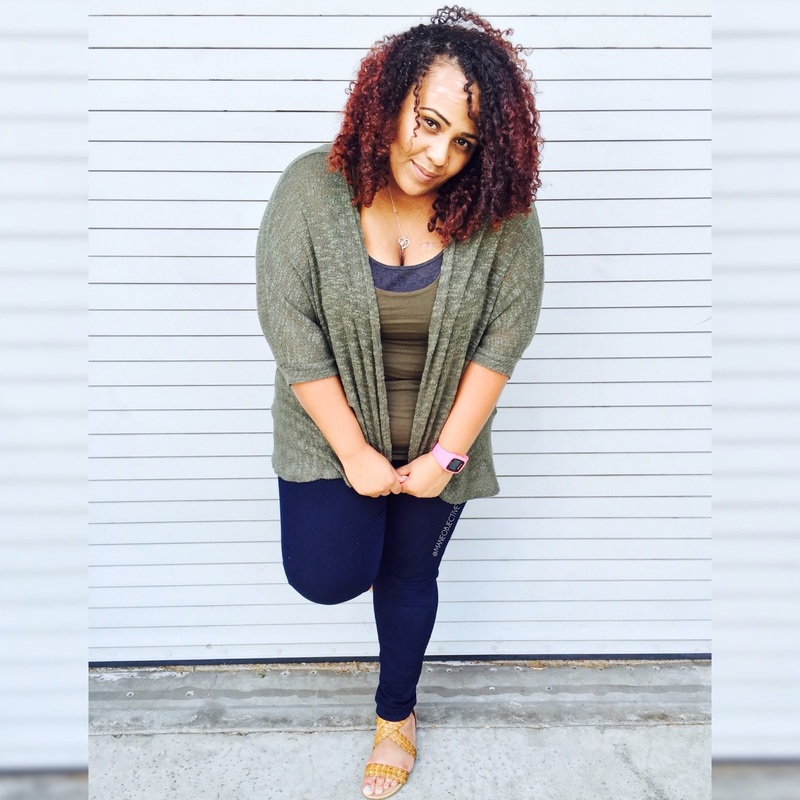 A lack of patience, the wrong tools and products, and even the current health of our hair impacts ease of detangling, and either adds to or reduces breakage and damage. During my transition (seriously back in like late 2012), I switched from comb to exclusively finger detangling my hair. Since then, I've dabbled in a few different combs, and even tried the Denman (which ripped way more of my hair out than I was comfortable with). Even the widest of the wide tooth combs would snag and sometimes make my hair feel a little rough. It wasn't until very recently that I learned how much comb quality matters. Several months ago (like wayyyy early 2015) Amber Randell of Eternally In Amber Combs reached out and offered to send me a set of her gorgeous combs. She explained that her combs are handmade with cellulose acetate, and specially designed with natural hair in mind. Willing to give combs another shot, I was all in. And I'm soooooo glad I did -- Eternally In Amber combs have seriously changed my life! 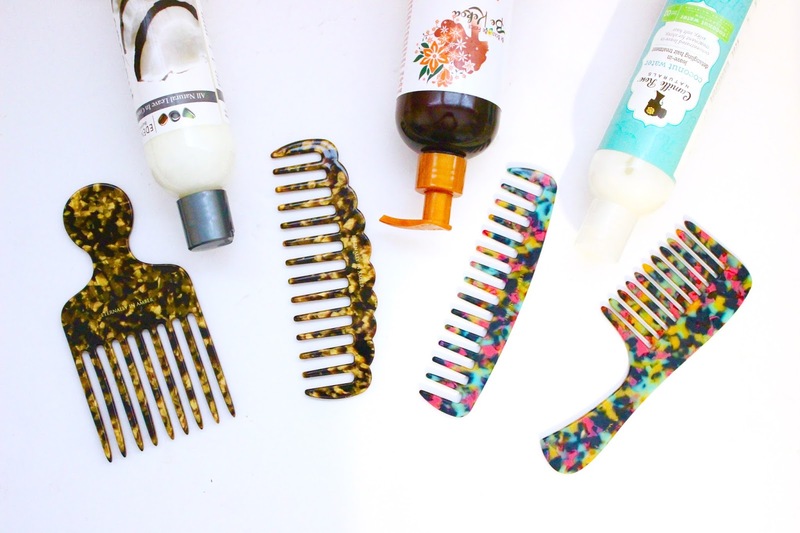 Eternally In Amber Combs are hand poured and crafted using cellulose acetate.What the heck does that mean, and why does it matter to natural hair? Most of the combs we purchase in stores are made of cheap, synthetic petrochemical based polymers which cause a lot of static in the hair. These combs also tend to have imperfections in their finish (seams, jagged areas, etc.) that can damage, snag, and break the hair. Combs that are made of plant-derived cellulose acetate and crafted by hand are incredibly smooth and virtually flawless in their finish. The result is a sleek, anti-static comb that passes effortlessly down the shaft of the hair without damaging or raising the cuticle layer. Eternally In Amber combs do just that, and more! I've had these combs for several months, and have not experienced any damage, breakage, or excessive hair loss during the course of detangling. The combs are just as gentle as your fingers are to detangle, which is remarkable! On Sunday, August 30th TWO winners will be randomly -- one from each Instagram post. 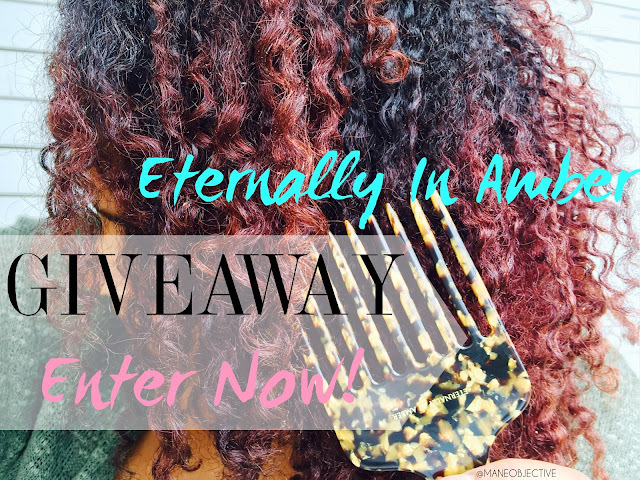 The first winner will receive the Eternally In Amber Hair Pick and Scalloped Wide Tooth Comb in Brown Marble. The second winner will receive the Eternally In Amber Hair Pick and Scalloped Wide Tooth Comb in Rainbow (like in the photos above). I can't wait! 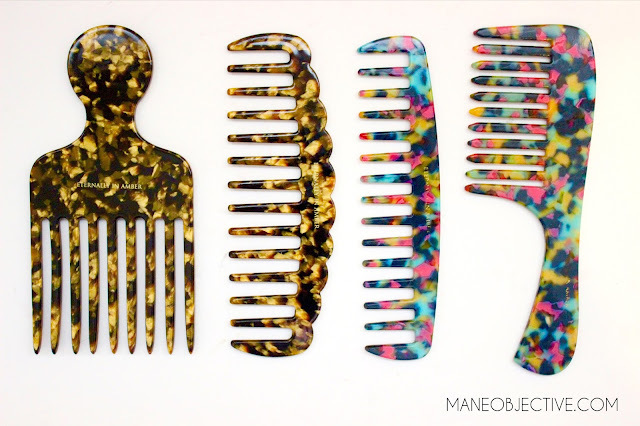 These combs are so AWESOME! Make sure you're following me on Instagram to be the first to see when the contest drops!!! One entry per post. A total of two (2) Eternally in Amber Giveaway posts will be done via Instagram, and contest participants are eligible to enter once on BOTH posts. No spamming allowed. No "contest only" accounts. Winner must reside in the continental United States. Contest prize has no cash value, and cannot be redeemed for cash. Entries that violate the rules of the giveaway will be voided. Love this post! I've been looking for a comb to detangle my tight coils. I also want a comb that won't damage my hair. I would love to try Eternally In Amber combs. Yes they are! Super smooth throughout!